This project made possible due to the generous support from AARP. Our mini-documentary features local business owners, city employees and Batavia residents young and old. We took a walk around town to see the sidewalks from different points of view, then biked around to feel how comfortable our streets are for cyclists. We also received a hands-on lesson from Pace on how to place a bicycle on the bus for multi-modal trips. Easier than you would think! Our documentary will be shown at the Dox on the Fox Film Fest on March 23rd at 6:30pm and March 24th at 10am. We're honored to take part. We hope to inspire all who watch our mini-documentary to get out and walk around town. Here's a sneak peek! 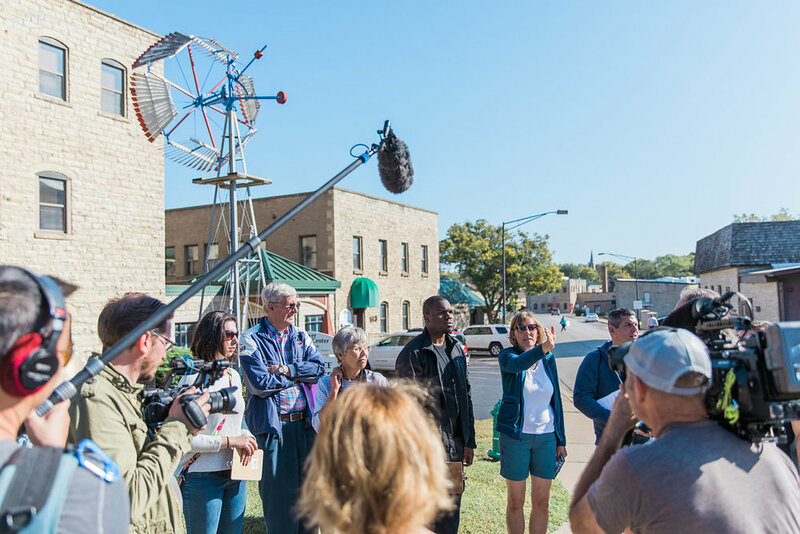 See our "walk auditors" and the crew around town in during the shoot. Thank you to our talented photographer, Laurel + Prairie. What is this campaign all about? Check out our second teaser to find out!